2. 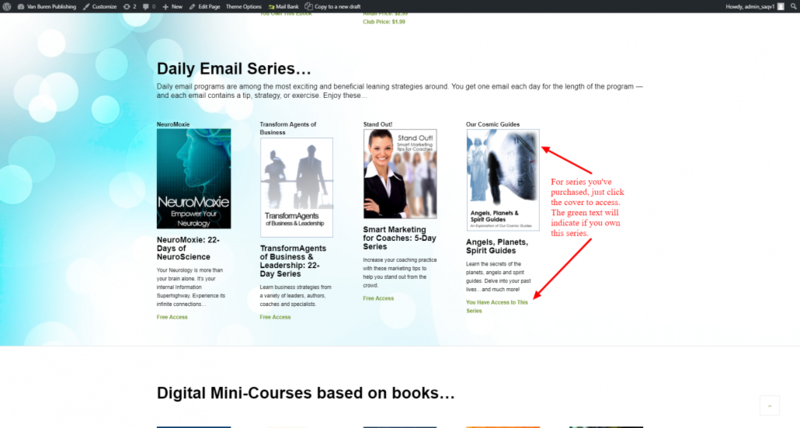 The “All Ebooks” page will display which content you own (or can access for free) as shown in the illustration below. 3. click the cover image to access the content — or in some cases, to tell the system where to send your content.